In this article, you'll learn how to build a new meal plan! 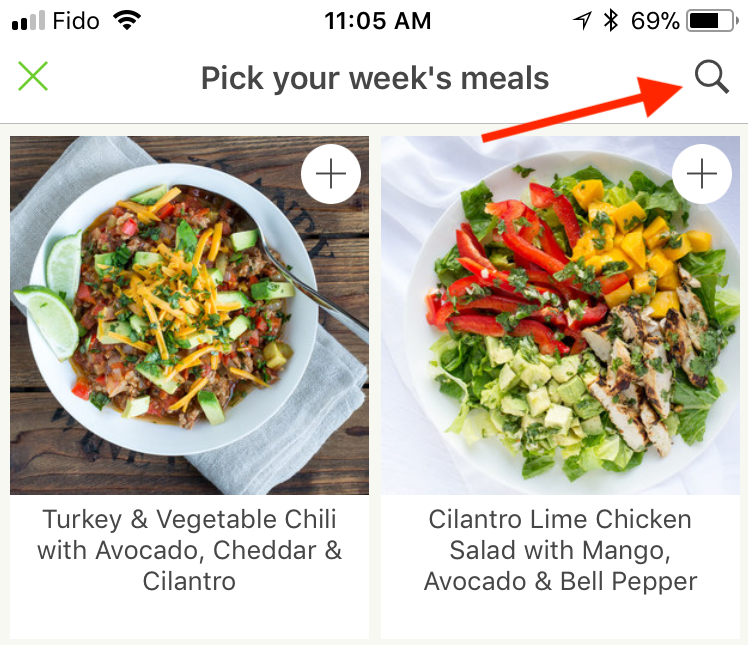 First up - tap the New button in the upper right-hand corner of the Meal Plan screen. Here's what the planner looks like. 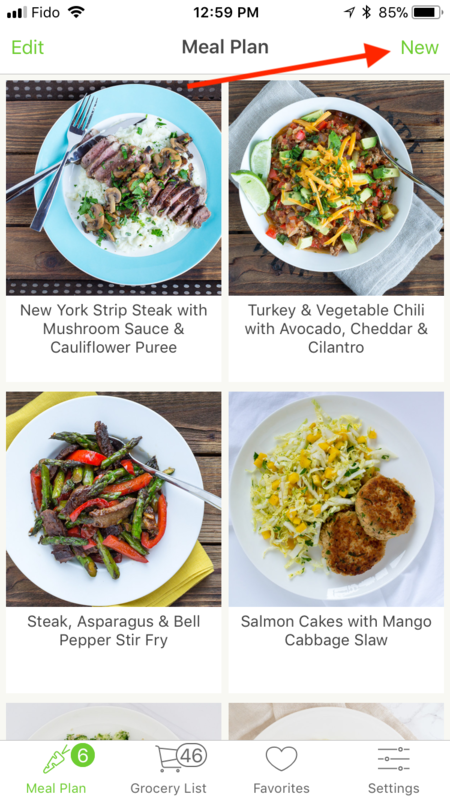 Next up, scroll to find recipes you're interested in! 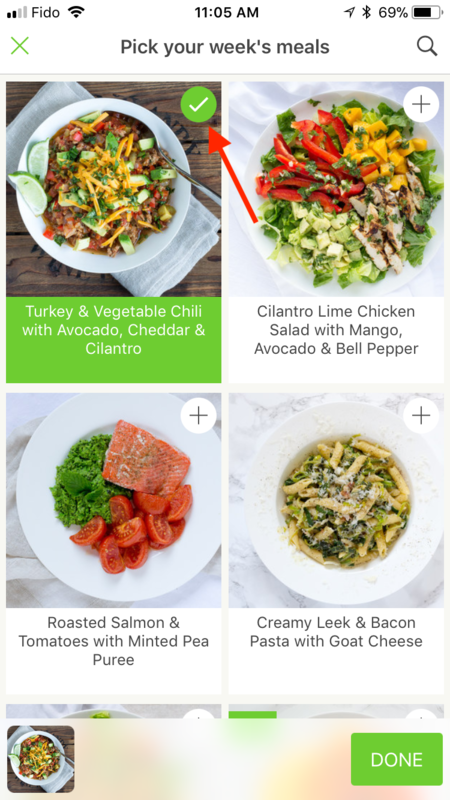 Add a recipe to your plan by tapping the plus icon in the upper right-hand corner of the recipe card. Or, tap the recipe to preview it . Optional: Tap the magnifying glass icon in the upper-right hand corner of the planner to search by keyword or use or pre-defined categories. Here's the search screen. 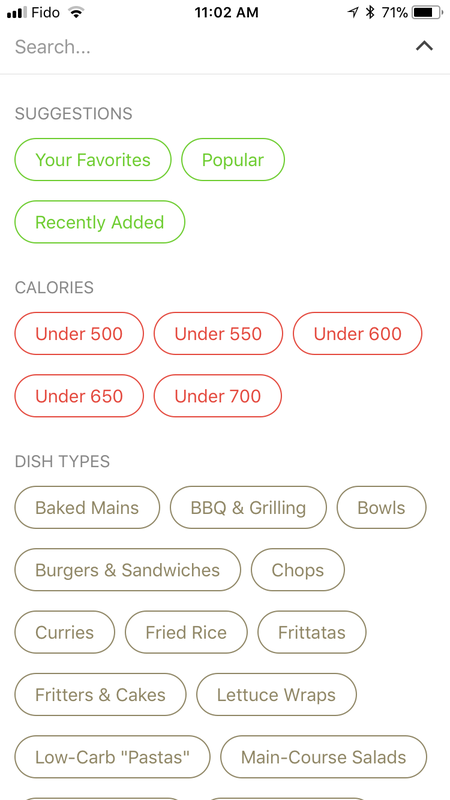 Tap any filter or the "Search..." field to find recipes based on keywords. 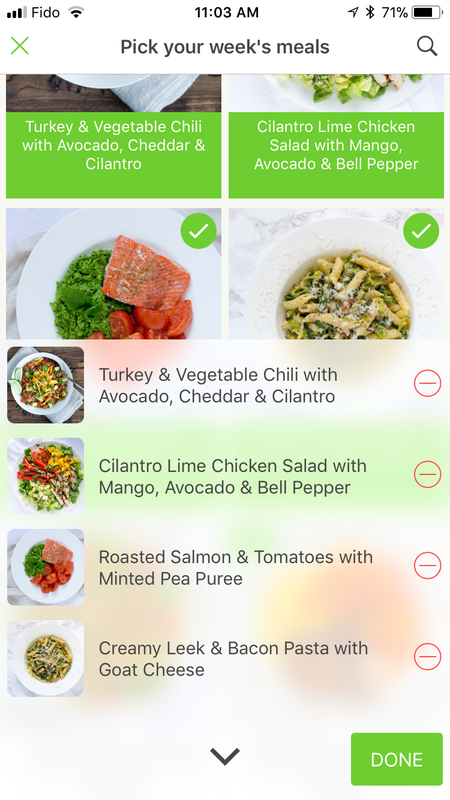 Optional: Review your meal plan by tapping the recipe thumbnails at the bottom of the planner. 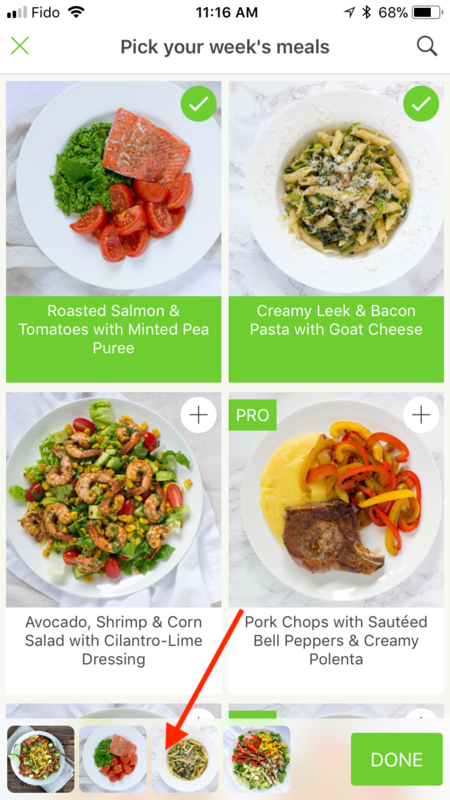 Tap Done to finish building your meal plan! 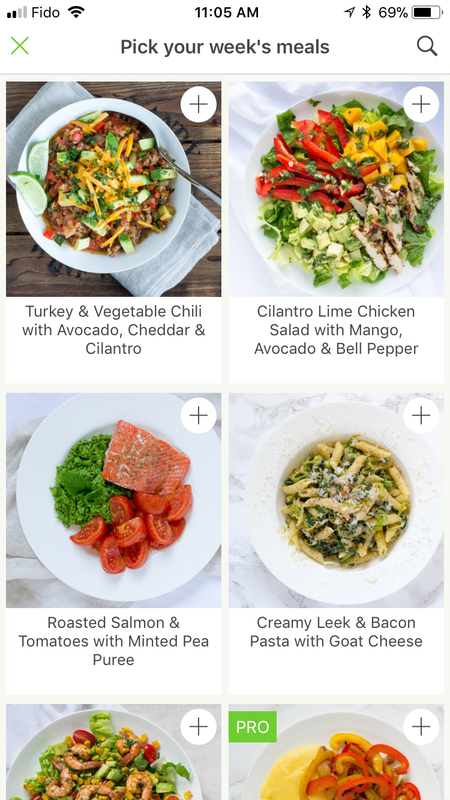 This new plan will now move to your Meal Plan screen. All grocery list items will be populated, and you'll be ready to cook another week of healthy meals!